Phase one of the $500 million I-16/I-75 interchange improvement project in Macon, Ga., is well under way, but while the road to completion is a long one — approximately eight years — the completed project should dramatically improve what is currently a very busy and congested commute. 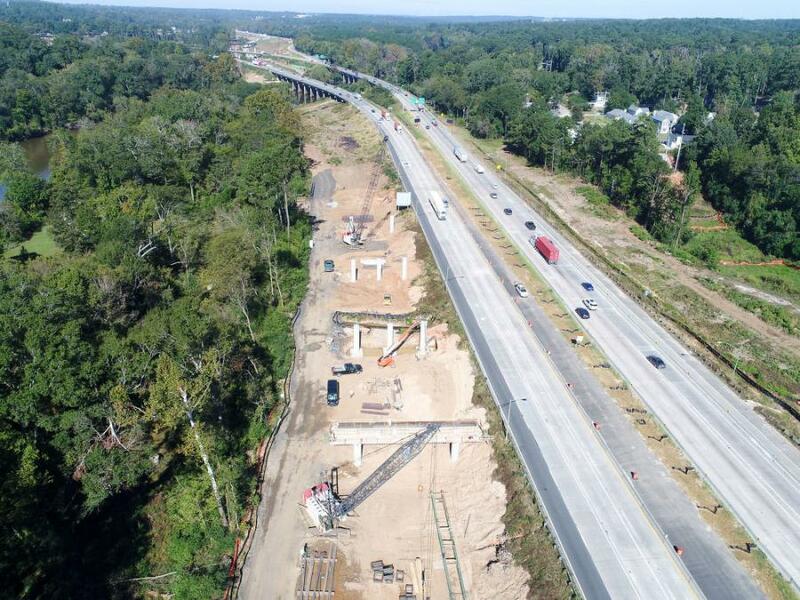 Phase one of the $500 million I-16/I-75 interchange improvement project in Macon, Ga., is well under way, but while the road to completion is a long one —approximately eight years —the completed project should dramatically improve what is currently a very busy and congested commute. Crews broke ground and began the clearing work on Phase one in April. The first phase is expected to take four years to complete and involves the construction of six bridges and nine walls. Two of the bridges are river crossings, spanning the Ocmulgee River. The other four are fly-over bridges and two of those, which will redirect traffic during construction, will be transformed in pedestrian bridges during phases four and five of the project. “The challenge for this job is mainly the traffic patterns,” Nelson said. “The highway is highly traveled and congested. We're having to build this thing under traffic and staging it at multiple times. Challenge one is to build it, and two is to keep the traveling public safe. Nelson estimates there are about 22 pieces of heavy equipment on the job site, almost exclusively a Caterpillar fleet that includes cranes for the bridge crews, dozers, loaders, mini-excavators, 60,000-lb. excavators, front end loaders and soil compactors. He expects the fleet to double in size in the coming months. While the main challenge of the project is working with traffic, crews also have had to take a different approach than usual for some of the walls due to soil conditions along the river. 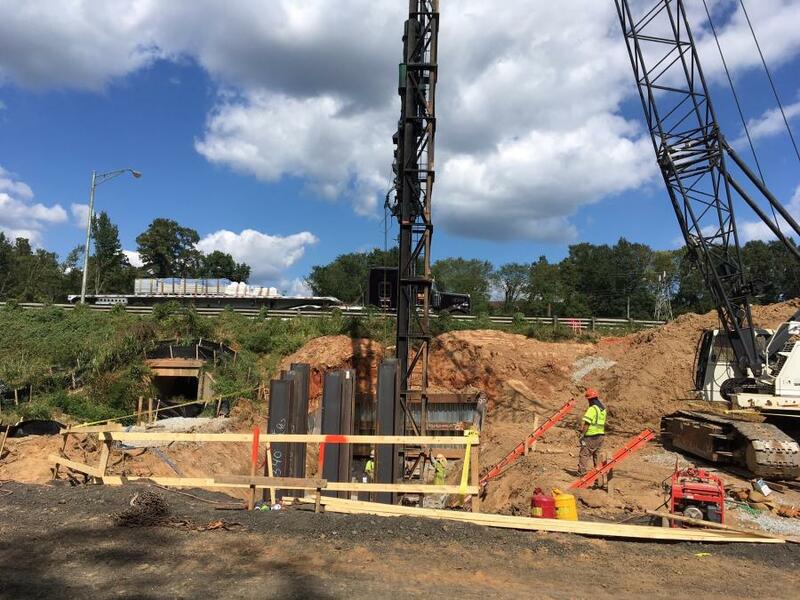 The bridge work also has played a significant role in the construction schedule. The first phase also includes a sub-phase, or Phase 1B. That, along with Phases 2 and 3, were awarded to E.R. Snell. The $12 million Phase 1B involves mitigation improvements to the Pleasant Hill neighborhood on the I-75 corridor, the relocation and rehabilitation of homes to seven vacant lots and building 17 new residential structures throughout the community. The project also includes cultural resource mitigation efforts to capture the oral and visual history of the Pleasant Hill neighborhood, creating two parks and relocating the “Penniman House,” the boyhood home of Little Richard. It will be relocated adjacent to the Jefferson Long Park and will serve as a community resource center, with specially created mobile interpretative panels on display. Phases 2 and 3 — awarded for a total of $268 million — consist of operational improvements, including new ramps and exits. Phase 4 — three miles of capacity and operational improvements to I-16 EB from I-75 to Walnut Creek — is scheduled to be bid in 2021. Phase 5 — 2.7 mi. of improvements to I-16 WB from I-75 to Walnut Creek —also is slated to be bid in 2021, and Phase 6 — improvements to I-75 NB and SB from the I-16 Interchange to Pierce Avenue, is scheduled to be bid in 2023.